I didn't know what I got into when I started blogging five months ago. I was encouraged by my brother Paul to start a blog two years ago, but it was only late last year that I gathered all my strength and courage to press the word PUBLISH. Soon I was led to discover the whole new world of food blogging. And like most new bloggers, I thought that this would just be temporary. However, blogging has become a big part of my life. Blogging is just like living in the real world wherein it is inevitable to meet new friends. I am amazed at how I started meeting people and becoming friends with them instantly online. I can't explain it but I immediately felt the chemistry and the compatibility even if I have not met them in person. I am grateful to everyone I've met along the way, and most especially my friends who support me and recognize the work I've put together. 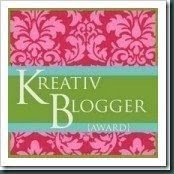 Last month I was surprised to receive awards from other bloggers (I know it's long overdue for me to acknowledge them). One of them is Mia of Vanilla Strawberry Springfields. We maybe far apart in terms of distance and age (about 20 years) but our love for life and passion for cooking has bonded us together. I feel like I've known her for the longest time. Here are the awards she gave me, and yes Mia, it's such an honor to receive these from you! Another blogger whom I have developed a friendship with is Liren of Kitchen Worthy. Liren has become my friend through Twitter. She's new to the blogging world herself but already she has won awards and has been featured in foodbuzz. When you visit her blog, you know she's literally Kitchen Worthy for all the accolades she has received. Liren, I would like to thank you for the Sunshine Award. It was a wonderful feeling to receive such a package because you know it was done with so much love. It also gives you a tingling sensation that friends in the blogosphere are now my true friends. Thank you Carol and I hope we're going to meet each other sometime soon. A couple of weeks ago, I attended my first foodie event in Los Angeles. The whole experience was totally awesome. It was great to meet the people behind the food blogs I read online. The seminar was organized by the founders of Food Blog Forum, Jaden of Steamy Kitchen and Diane of White on Rice Couple. I would like to invite you to take a peak at this video clip: Food Blog Forum Seminar in Los Angeles. I'm thrilled that I had a brief appearance at the end of the video. And to you my readers, thank you so much for the support and for all the love. See y'all at the blogosphere... Cheers! I have been to ur dear pal, Caroline's site, she has a wonderful site and she won the contest for those cookies too right? What a beautiful post. I am pretty new to the world of blogging and often wonder if it's all worth it, then I read this post. Some how it has shed a glimmer of hope that the love for what we are doing is out there. 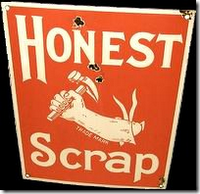 Do you have any tips or advice to offer in this cyber community of which we adorn. Oh my, what a wonderful package to receive. And so great to hear you went to that foodblogger event. I bet it was a great time. Aw, this post just made me smile and smile! Isn't blogging wonderful? And bloggers are wonderful too! The blogosphere is a wonderful place to be, hubby is having trouble keeping track of who I meet. That is a lovely of marshmallows and the flavors are yummy! What a great post! I love how twitter and the blogisphere brings together foodies. I love coming to your blog and I'm so glad to have met you on here, maybe one day soon we can meet up in person! Oh Mia, You are such a charmer! thank you for bringing sunshine into my site everytime you drop by... now that we follow each other on twitter, boy ill be looking forward to tweeting with you! Hi Suzie, I'm still an amateur blogger but yeah I left some tips for you at your site. Hope it helps. Hello Lori: Welcome back! it's been awhile... yeah it was an awesome experience attending the seminar... and indeed such a wonderful feeling to receive a package from a Cyber friend. Hola Diva: oh yeah the blogosphere is full of wonderful people and it's my pleasure to know someone as classy and Diva-esque like YOU! Hi Veron: Could just imagine hubs face with amazement! Such a great feeling to belong in a community like ours! Hello Nastassia: Meeting you may come sooner as I will be working soon in LA. WE have to do lunch together! Im excited! 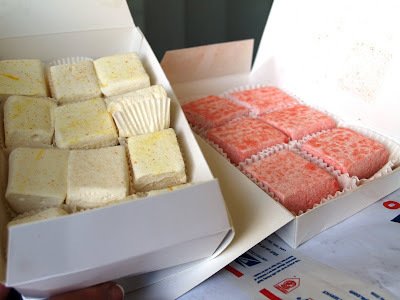 Congrats for receiving those awesome desserts. So sweet of your friend. Its so heart-warming to read your post. I can identify with you. Indeed I'm really happy to meet you...all because of blogging. I hope one day we can meet. Take care and have a fun day. 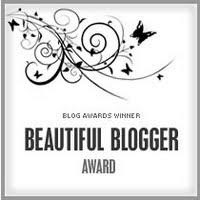 Congratulations Malou on all the blogging awards. You definitely deserve each one of them! Oh Malou how blessed you are to receive such a wonderful and YUMMY gift! 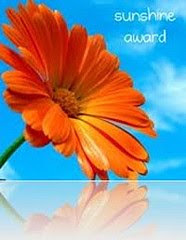 Congrats on your numerous awards as well -- it is wonderful that the blogging world offers so many new friends. I am glad to have met you for you have given me many positive moments throughout my days -- thank you! I'm taking all that love and shooting it right back at you! You are such a dear and deserve all of these awards and gifts to the max. It's been great knowing you through the blogosphere...hopefully someday we will get to meet in real life! Wish I could have been there! i hope all is well with you! Malou ever since I started to read you blog I felt as if we have been friends for a long time. Every story brings tears to my eyes or makes me laugh out loud. So glad to have come across your blog and so so glad that you are part of Kulinarya. I hope to meet you one day. Yay for foodie friends..
Mary, I guess we food bloggers really understand each other, could relate to each other very well..it's like sisterhood LOL! Rebecca: same here, i want to meet you someday soon. Trissa: thank you so much. it's a joy to have you stop by. Joy: It's great knowing you and Im so glad we've become friends ... cyber friends... and we're now FB friends as well... hahah i just love it! Eric: yeah it was fun.. wish you were there too.